Originally appeared on Kiki & Tea. Republished here with permission. I’ve been encouraged to write about what it’s really like to be a stepmother. This is from my experience, from the forums I’m a part of, and talks about what it’s like to be a stepmother while the mother is still around, without any children of your own. Writing this has been hard for me, putting down in words the way I feel about being a stepmother. I have never spoken to a stepmother who has been in a similar position to me who hasn’t felt the same way I do, which is why I have chosen to publish this. This isn’t about being politically correct or saying the things you’re meant to say. It’s my opinion from my experience. Please remain respectful. When I say “Mother,” you might say: caring, loving, nurturing, and helpful. Good things, right? Your mother is a really important person in your life. The one who brought you into the world, who is always there for you no matter what. Who picks you up when you fall. The one person who loves you unconditionally. 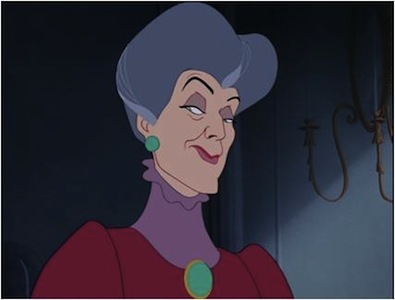 Now, when I say “Stepmother,” you might say: cold, distant, and uncomfortable; and if you’ve seen any Disney movies: evil, wicked, jealous, manipulative, and murderous. Think about all the movies you’ve seen that include a stepmother, the books, the fairy tales. The stepmother is the evil one. When there’s a happy ending, the stepmother ends up defeated, dead, or cast aside, as the parents—who always loved each other, they just didn’t know it—get back together. Ahh, the fairy tale! The fairy tale ending never includes the stepmother. You want them away from your child. You might really like them, you might really appreciate what they can bring to your child’s life. Maybe you really like seeing your ex happy. But still, it’s there, in the back of your mind. It’s your child. We’re wicked, we’re evil, haven’t you heard the stories? We have warts and moles, or if we don’t we’re nasty on the inside and out to split up the child’s relationship with their father, out to take all his money and ruin his life. Well, I like to think I’m not wicked and I’m not evil. My stepdaughter likes me, as does her mother for that matter. I’m certainly not out to ruin my husband’s life or take his money. But every day, that’s the stereotype you’re up against. That’s how you’re viewed. You can’t win. Either you’re an interfering person who wants to take over the role of mother, or you’re cold and uncaring, not mothering material. You have emotional and financial responsibilities, like any parent. You have the responsibility to teach, to nurture, and help your stepchild grow. There is a member of your family, of your home, who you want to do the best by. But your hands are tied. You can’t raise them how you would your own, even though everyone says “Treat them like they’re your own child.” You can’t. You have to treat them like their mother would want you to. You have to raise them not how you would, but how she would. You have to uphold what their mother would want you to do, to say. You can’t be a part of the major decisions that affect their life. So you do the best you can. You try to do things as their mother would want you to. You hold back your opinions and you stand in the background. You support their parents, back them up, defend them, whether or not you agree. You present a united front at all times and put aside what you think. You aren’t. You can’t be. It doesn’t matter how good your stepchild is. It doesn’t matter how much they want their parent to be happy. It will be hard for them to accept you and equally hard for you to accept them. Many of the people in the forums I frequent experience the most issues with the child. This is tough because you’re an outsider and you can see things the parents can’t. Or maybe they can, but they don’t want to. And you can’t say anything. Sometimes you can be filled with so much love for your stepchild you want to burst. Like the time my stepdaughter wrote me a little book called “That’s Why I Love You” with drawings of the two of us, and she’d written a whole story for me, even though she was having trouble with her reading and writing at the time. Like when she had a nightmare and my husband was right in the middle of a meeting, so she said that was OK, she was fine with me. She curled up on the couch with me. We ate ice cream and she said she loved me. But sometimes you listen to the things people say about your stepchild, and you want to yell “They’re not perfect!” because you can see their flaws. You don’t see them the way parents do. But you’re the last person in the world anyone wants to hear that from. They’ve had to adjust to you, and in doing so, they have done things to you, and said things to you that can be hard for you to forget. They’ve hurt you and they don’t apologize. Sometimes they don’t even mean to, like telling your husband that they wish their mom and dad would get back together. It isn’t meant to be hurtful, it’s not intended that way, but you can’t help but think they wish you weren’t there. Accepting, forgetting, and forgiving is required for you to adjust to them. But your biggest fear is that they won’t like you. Won’t love you. Won’t accept you. So you get nervous, and you stuff up. And every criticism anyone has of what you’re doing is magnified a thousand times. All you can do is the best you can. This is the part that’s the hardest of all to write. As a parent, who is the most important person in your life? It’s your child, right? So, what if it’s not your child. What if the most important person in your partner’s life is their child, but the most important person in your life is your partner? Do you think you could deal with that? Sure, easy, no problem. It’s a child, how can you possibly be jealous of a child? They’re just a child. You expect your partner to love them more than you. Really? Really? Think about it. The person you love most in the whole world loves someone else more. Come to Sophie’s choice and without hesitating, they won’t choose you. Hurts, doesn’t it? But it shouldn’t! Because that’s awful! What a horrible thing to say. What kind of uncaring, disgusting, selfish human being would want you to love them over your own child? How dare you. You’re caught. You love them most, they love someone else most, and you can’t feel bad about it because it’s their child. So you keep it inside, your guilty little secret. Your private shame. Because to admit it would be to become the stepmonster. So you put them before yourself. And sometimes, you lose yourself in the process. One day you wake up and you realize your stepchild has no idea who you are because in your attempt at being second, you’ve forgotten to put yourself first. Ironically, all the advice I’ve ever read on how to be a good stepmother actually says to do the opposite. The best way to be a good stepmother is to put your relationship with your husband first, and ask them to do the same. To ensure your relationship is upheld and kept important no matter what. To present a united front. Because the most important thing you can do for your stepchild is to provide them with a stable, loving home. Eventually, when they grow up, you will no longer be a stepmonster. And maybe, if you’re really lucky, you’ll get to be their friend. Tamsin is a wife, stepmother, and blogger with a passion for people and relationships, fashion and beauty, and an inability to successfully complete household tasks. Editor-in-chief of KiKi & Tea. How Can We Stop Comparing Ourselves To Others And Just Enjoy What We Have?